The following has been written by Tilmann Böttcher as a foreword for the Symphony Concert programme that took place in Bonn, Germany, on November 14, 2017. Just the mere act of making music is like walking a tightrope within a delicate system: Every musician in the orchestra has first practised scales and done finger exercises so that during the concert they can forget about all these fundamentals and let the music flow out. The instruments on the stage form part of a long chain of sound generators, which have been continuously developed further over the last five hundred years for a single purpose: to convey the actual sound as naturally as possible over the front of the stage to the listeners. The history of the type of music that is played in concert nowadays is also a history of a wave effect between nature and technology, between simplicity and complexity, between hands-off approach and pressure to produce certain forms. For example, the sacred songs of Palestrina around 1560 were a reaction to the endlessly complicated counterpoint of its time, which functioned with up to 40 voices running contrary to each other. Christoph Willibald Gluck’s Orpheus and his round dance of blessed spirits were the response to the highly virtuoso vocal acrobatics of the later Baroque era. And the serial experiments of the post-war composers which were elaborated to the last detail and could no longer be decoded by the ears of normal humans precisely in Germany and Italy around 1950 set themselves apart from the simplistic tonal motorways of the Fascist regime, which had used music to bring people to heel, put them to sleep an bring them into line. In every period composers reacted to the vibrations of their epoch: Beethoven’s contemporaries noticed the blessings and flight from machinery for the first time so that nature became their place of refuge and the place where they were allowed to be themselves. This was also the case with Ludwig van Beethoven, the composer of the Pastoral symphony, who fought the laws of the market and was drifting into social isolation because of his deafness. In the age of the information society, a composer looks back curiously over five hundred years of technological history. 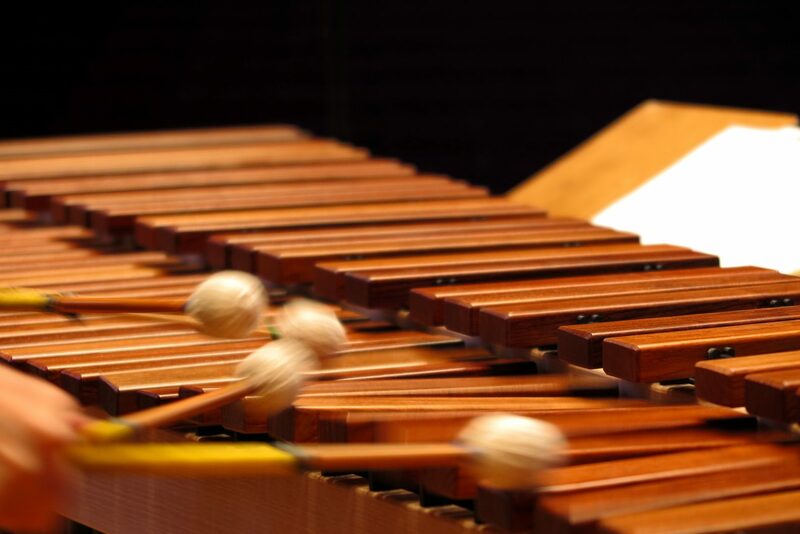 Michael Daugherty writes for an instrument, which like no other embodies the endless range of musical possibilities from a simple block of wood or hollow bones up to the most elaborate drum machine. A history of human dreams and dream machines: Dreamachine! The performance on the stage is a delicately responsive eco-system if the appearance is successful, it is an accomplished interaction between the most varied parameters: from the temperature of the room and the right lighting to the quality of the musical notation and the music paper; from the training of the musicians and the quality of their instruments to the number of rehearsals and individual preparation. However, in the final analysis there are also factors, which cannot be measured and are difficult to influence: the mental health of the musicians and that of the audience. Without the curiosity and willingness of both sides to live for the moment, perceive the sounds and anticipate them, the idea of joint discoveries is bound to fail. However, if one travels together between nature and technology, between the known and the unheard, between satisfaction and surprise, then the doors will open to new worlds, about whose existence one had no idea of beforehand. As musical ambassadors of the city of Bonn, the Beethoven-Orchester Bonn and General Music Director Dirk Kaftan gave a special concert on Tuesday, November 14, 2017 for numerous delegates of the UN Climate Change Conference (COP 23) from all over the world. The performance included Ludwig van Beethoven’s 6th Symphony in F major op. 68, the so-called Pastorale. A very appropriate approach to the concerns of the 23rd World Climate Conference in Bonn, where the concrete implementation of the Paris Climate Agreement was negotiated last November. With Evelyn Glennie concertgoers also enjoyed a brilliant and sensitive interpretation of Michael Daugherty’s “Dreamachine for Solo Percussion and Orchestra”. A piece that explores the relationship between man, machine and nature in a contemporary way.